Squeegees are one of the most important wrap tools for the sign maker and digital printer. The thickness, rigidity and softness of every squeegee differs to provide the correct tool for each different situation. Our squeegee range includes different colours, different widths and some even have wet edges depending on the application. Some of the wet edges are micro fibre to make your job quicker and make the edge last longer. This squeegee is what we call the Extra mile because they honestly last the extra mile! Squeegees are divided into 2 groups: Every-Day Use and Car Wrapping. The Secret To Maximum Squeegee Effect – Economics and functionality – With reducing production time and maximising effect as our mission, we have now compiled a guide for the print and sign industry. Use a squeegee design – Why hinder your printed material with a below par quality squeegee? You want your print to stand out not be viewed in bad light! Our squeegees work in the ‘background’ and maximise effectiveness. Required strength is vital – No matter whether it is construction of a print project or a simple outdoor a-frame, most projects require suitable strength. For example, outdoor use in Australia requires UV stable material. Use a strong squeegee. Versatility – Use a squeegee which works with virtually all materials. As well as saving time from swapping between a-frames, you will increase your buying power through using larger quantities of the same product. Consider the time reduction – As well as saving time and therefore costs, a level of automation means time is reduced during production. Make sure that whatever squeegee option you decide to go with, make sure that there options available for maximum time reduction. Choose your squeegees carefully – Yes, not all are the same. There are even key differences such as functionality and quality. What are Eurotech Squeegees made from? The frames are made from a variety of different plastics. Depending on the flex required as to what polymers are used. Make sure your vinyls match the squeegee! When doing the sales pitch it is quite common to tell your clients that you are using a 7 year adhesive vinyl. The secret here is to also mention your work tool quality. Clients are interested to know that they are dealing with someone who is at the top of their field. Use this to your advantage and mention it to your clients. At any time you want to effectively remove water from a room there’s nothing greater than a foam or flooring rubber squeegee. These tools are excellent for pushing considerable quantities of water towards flooring drains and any other sort of drain. The squeegee rests in a moulded aluminium socket that can be straight or curved, depending upon the intended application. Straight tergipani are ideal for moving large quantities of water whilst the curved squeegee blades are ideal for directing water towards floor drains. They come in a wide selection of sizes from 15 to 48 inches to match even the biggest areas and their foam blades could be substituted after they wear with time. The 2nd kind of flooring squeegee is more suitable for heavier applications such as meat packaging plants and supermarkets because of their rubber blade structure. Like their foam counterparts, these squeegees can be found with either curved or straight blades. With regards to cleaning asphalt or concrete surfaces these are the best option. The rubber blade withstands that the rigours of everyday use better than the blade. Since a floor squeegee is exposed to regular use they’ve to be quite sturdy to stand up to regular usage. Most units are made of 14 gauge aluminium and possess either fibreglass or wood handles for added durability. Maintaining these tools is a snap since either that the rubber or foam blade can be cleaned with routine soap and water. Their easy maintenance and long-lasting construction will ensure that you will get years of usage of out of your flooring squeegee. The beauty of those tools is the efficiency by that they can clean large flooring areas in a relatively short time period. The bigger the blade, the faster you can complete the work. Their capability to manage various applications is what makes them the ideal choice for hospitals and structure sites as well. The use of a flooring squeegee can be applied to a number of different applications and surfaces with exceptional results. Not just are these squeegees good on tiles and hard surfaces, but they work will on unusual surfaces well. For instance, many people do not understand that the PGA uses the spatula to help dry that the greens and tees when rain interferes with a tournament. The squeegees are fantastic to get diverting water off that the greens and tees without damaging that the surface. 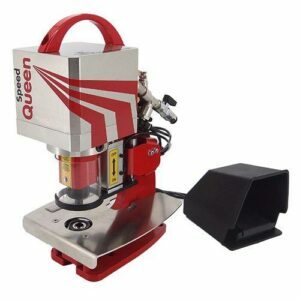 Its no wonder that individuals love this inexpensive yet useful tool to get a broad range of applications as well as their cleaning equipment like flooring scrubber machines.